What sounds like a weird name for a fruit has become all the rage these days – pluots are becoming more and more popular. I never even had one until a couple years ago. There are still a lot of people out there that are not familiar with this fruit. For those that are still getting into pluots, let me give you a little crash course. First you must understand what a pluot is. That can be quite the complicated manner. The simplest way to says is that a pluot is a fruit that contains both characertisics of a plum and an aprioct with characteristics of the plum being more apparent than the apricot. The name “pluot” is a registered trademark of Zaiger’s Genetics. The name was created to distinguish their work from the early plumcots that weren’t all that big of a hit (learn more in this awesome article from the Stale). Zaiger’s crossed plums with plumcots. A lot of people say half plum, half apricot, but really the percentage of true pluots are going to be way more plum. How Do You Eat a Pluot? No matter, the size, shape, or color of a pluot they all can be used in the same way. Pluot are great for out of hand eating. You eat the outer size, no peeling necessary. The pits inside are smaller than peach pits, so there is more fruit to be had. For those that are turned off by the tartness you find in the skin of a lot of plums, you will find that pluot bring more sweetness to the table. They also tend to bring more flavor to the party as well. 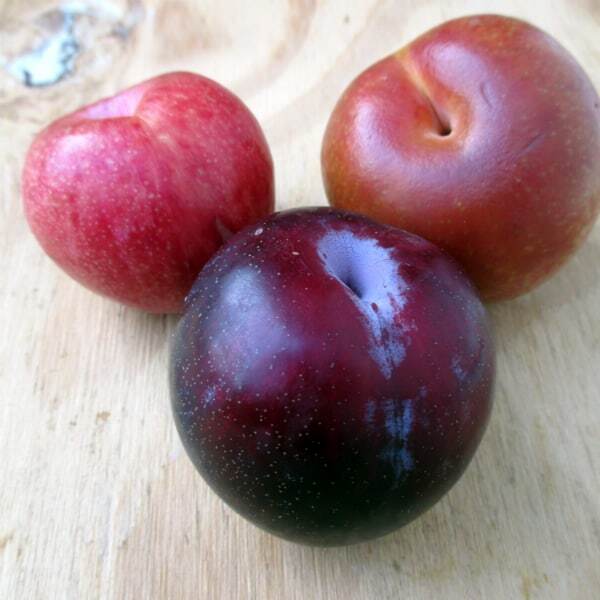 A lot of the black and red plums found in the supermarket today were bred for marketability not flavor. I find it to be a challenge to find a good grocery store plum nowadays. How to Know When a Pluot is Ripe? 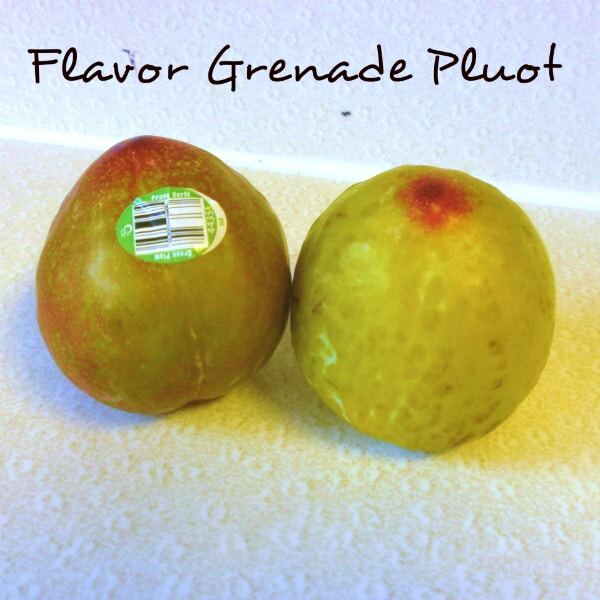 The pluot should feel heavy in your hand and give a little or wrinkle to gentle pressure. Some yellow-green skinned varieties will actually turn more yellow, even to hints of red as they ripen. Some are meant to eat when they are still more firm, like the green-yellow Flavor Grenade, that will still be somewhat crisp on the inside when ready to eat. Can You Cook with Pluots? Absolutely! 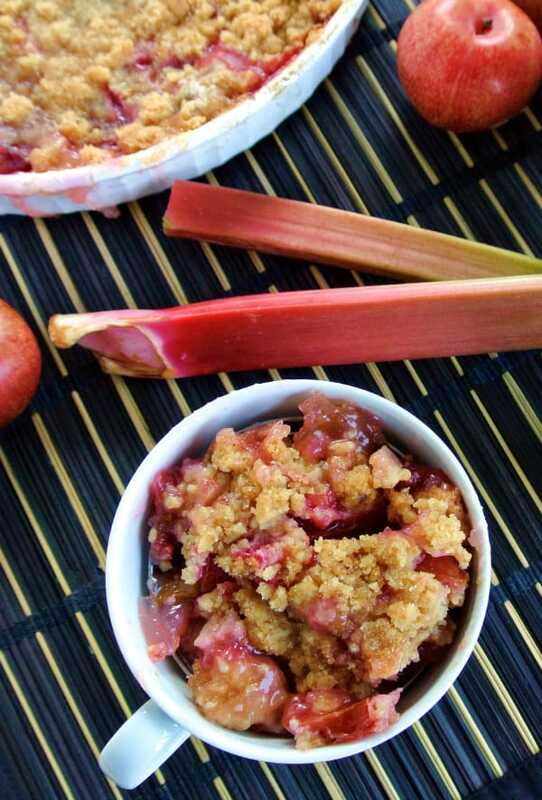 Check out this recipe I created for a pluot-rhubarb cobbler – a great way to show off this beautiful fruit. I have also used them to make vinaigrette dressings. Just puree them (skins on, pit removed) in a blender or food processor then add in your oil and vinegar and you have a stunning dressing sure to impress any guest. Previous Post: « What are CherriYums (Cherry Plums)?